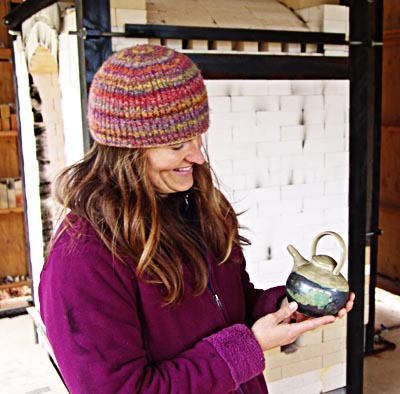 I attend kiln openings whenever possible, because it is like experiencing Christmas all over again. Whether it is my own or another potter’s work, that magical moment when the ware comes into view is a unique experience. 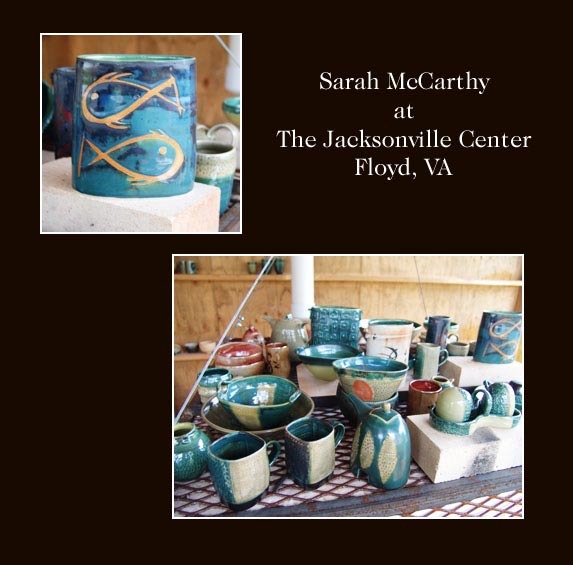 So I was really pleased when potter Sarah Mccarthy invited me to see the results of her latest firing. There is an element of suspense in every kiln firing because carefully crafted pottery must be sealed in a kiln and fired at high temperature before it becomes useful and beautiful. There are so many variables involved that it is always a minor miracle when a firing turns out as expected. For example, small variations in the placement of pieces in the kiln can affect firing rates and the performance of well-tested glazes.